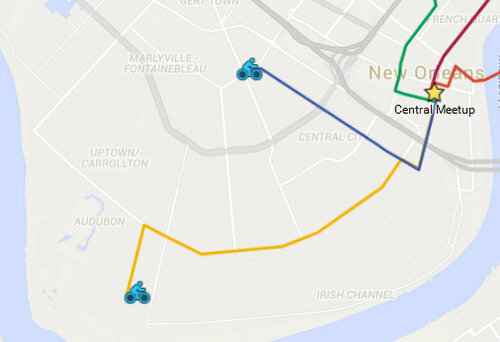 All the events associated with Bike to Work Week in New Orleans — including a planned meetup this morning from a variety of locations in Uptown, Mid-City and elsewhere — have been postponed by a week because of the rain, organizers said. The bicycle-commuter meetup — which leaves from the Whole Foods on Magazine Street and Laurel Street Bakery in Broadmoor, among other locations — will now be held Wednesday, April 22. For details and a full list of other events, see the Bike to Work Week website.